When you manicure your nails and apply the prettiest trendy colors to them, you feel good. But in less than a day, they get ruined: a scratch, chipped, etc. Well, this can be avoided if you apply top coats to your nail polish. 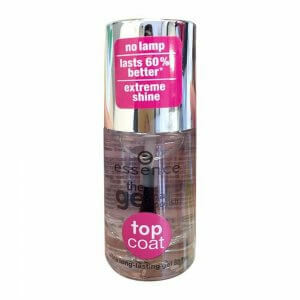 Many cosmetic brands such as Lakme, Essence and Sally Hansen all offer different types of top coats. Fast-drying type, matte or gloss finish, slightly colored or glittered…choices are endless. So, the purpose of this article is to give you some tips on how to choose the top coat that works well with you. We will list our 10 best top coats to buy online. Protect your pretty pink nails! Putting that last layer of a top coat can give your nails a great protection and touch. It makes the nail polish last longer, and it is a must have item if you do your nails yourself. There are different types and functions to nail top coats. Knowing them and finding out what you like before purchasing is important. Let us look at some tips on how to choose one. Top coats are roughly divided into two groups: ones that dry fast and ones that offer gloss shine. First of all, you need to see which type you are looking for. If you want to go out right after you polished your nails, then the fast-drying type works great. It will protect your newly done nails from being scratched. Also, keeping this type around is becomes handy in repairing damaged polish. Fast-drying type tends to have less shine. If you are looking for a top coat to give your nail extra luster, choose the top coat that gives high gloss even if it takes a bit longer to get dried. The finishing texture of top coats can dramatically change how nail polish looks. Adding different types of nail coats can juice up your usual colors. Matte type will erase luster which any polish may have, and highly glossed one can add shine to it. Thick gel type can make your nails plump. And there are other types that add glitters or holographic ones. Each one will give you different finish. Make sure you know what you are looking for. Whether a particular top coat has any color, tint, and transparency/translucency is also something you might want to check on. If you purchase the one with a color or tint, it can function as both nail polish and coat, which can cut application time. How transparent a top coat is also important. This can alter how your nail colors look like. If you want to keep the color as is, then make sure you are purchasing one that has no color and transparent. Some cop coats have nail care ingredients added. Keeping polished and colored nails without any break to them can damage your nails. There are some top coats that contain moisturizer, so keeping one might be helpful to your nails. Before purchasing one, it is important to know the frequency of your nail polish/coats use. If you are a heavy user, check the ingredients and purchase one kind to your nails. Now, we are listing top 10 best nail top coats here. There are basic types and also fun ones you might want to try. Keeping some of the tips in mind, and try to find the top coat that suits you. This top coat from Faces Hi Shine is perfect for someone who has never used a top coat. It is easy to apply and dries fairly quickly. The company offers a quality formula to protect your nails for a long use as well. It is a glossy type, so whatever polish you apply to, the luster will be amplified. If you want your nails to look matte/natural, this might not be it. What is great about this product is the price. It is a basic transparent top coat, but a good one to have. 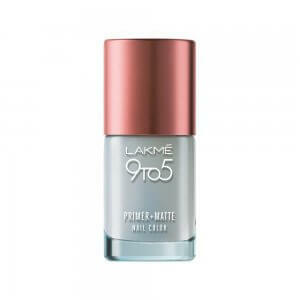 This product by Lakme functions as a base layer as well as a top coat. 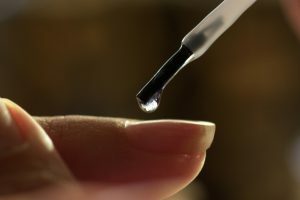 If your nail does not take nail polish too well, applying it will help with adhesion. It creates the matte finish, so if you are not the type to enjoy the overly shiny nails, this works great. It also is chip-proof, so will protect your nail polish from being ruined. And it dries very quickly after application. This means it is perfect for someone who wants to have pretty nails but no extra time. It is a must have for busy people. This nail top coat by Essence provides the extra luster to your nails. It shines pretty rich, making the finish look like gel. It is transparent, and works for all glossy nail polish colors (expect for matte type, of course). This can also work as base layer. But if you are trying to have the matte look, then you should not apply this. It offers good protection as well. Your nails can last longer than a few days if applied correctly. It does not dry as quick as some of other fast-drying products. But if you are going for a gel like shine that last longer, this is great! This nice package from Bonjour Paris comes with two nail polish with a top coat. Two colors are black and white, and the top coat is a transparent and gloss type. These dry fairly quickly, and for the best result, 2-3 coats are recommended. This means, it might not be best to use in busy mornings, if you have extra mins like at night, it will work. If you wanted to try white or black but never done it, then this package is a steal. Black polish does not have to be applied solid. You can use it as an add-on: if you apply it on white using the tip, you can make a polka-dot pattern! 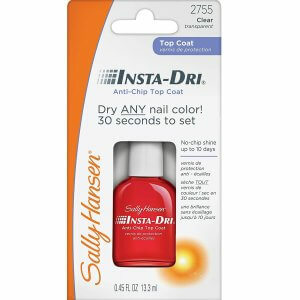 This world-popular top coat from Sally Hansen dries very quickly. After applying the first layer of nail polish, wait for about a few mins, and you can apply the top coat. It dries in less than a minute. It is a glossy type, so it can give you extra luster to your nails. It contains ingredients to protect your nails from UV. It is not the cheapest product out on the market, but it contains more and does a great job of protecting your nails. And if you use nail polish daily, you will appreciate how fast it dries! 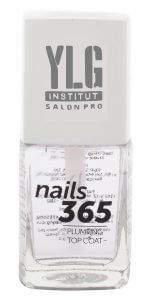 This top coat by YLG gives a transparent, glossy and plump finish to your polished nails. This type of top coat makes the nails look fuller and stand out, especially on top of bright colors. Gel-like finish takes longer to dry in general. So, if you are looking for this particular kind of look, make sure to have some time in applying. This coat is easy to remove, which means it does not take too much remover. It is kind to your nails. One thing to keep in mind is gel-like top coat tend to get thick faster. So, don’t forget to shake well before and after the usage. This one from PURE BLEND can be both a base and top coat. If you have a bumpy nails, applying it before color makes them smooth. It is a matte and fast-drying type, which means you can see it when the nails are done by looking at the surface. Another great thing about this product is that it is a 5-T free product, which means it does not contain toxic substances like DBP, toluene and formaldehyde. If you are looking for the nail top coat that is more kind to your nails and works as both top and base coats, this is the one for you. Maybelline offers many nail polish and top coats, but this one is high quality and not expensive. This is a gel-based top coat that gives shine. It has a color-popping formula, which means it will accentuate the polish you put on. With the shine that gives from applying this top coat, your nails will have great luster. For a gel-based coat, it dries fairly quickly, and it also works as base to smooth out any uneven surface on your nails. If you want your nails to stand out with luster and color, this is the top coat you are looking for. Some people even love putting only this coat! This fun top coats from L’Oreal Paris will add glitters and shine to your nails. There are many types of glitters that they offer, and they are all fun in their own way. It it hard to choose from. Confetti is based on black and white glitter particles, Disco is silver, and Gold gives gold-leafed effect. It takes longer to set, but glitter does create camouflage effect so that a bit of chip won’t be too noticeable. This is a great top coat if you want to try something new and fun to your regular nail polish. Especially out at night, under dim light, they will give amazing luster. You might want to try more than one kind! 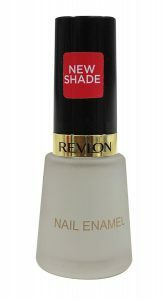 This very popular top coat from Revlon makes your nail matte instantly. If you are going for the matte finish that dries quickly on your nails, this is the one for you. What customers are happy about is that not only it is a high quality matte coat that does a job, but also the reasonable price. Of course, depending on your activities and life style, how long it can last will differ, but it will protect your polish longer than a few days up to 9 days. It has chip-resistance that does the magic. Often, people who chose a matte coat because they don’t care for the highly glossy polish that makes nails stand out overtly. But that does not mean you want your matte coat to be dull. This coat does not make your nails flat. It gives you the subtlety you like in a matte coat. If you do your own nail art and trying to apply a top coat over it, there is a simple tip on how to avoid ruining it. Nail top coats tend to loosen the color polish, which means if you draw on your nails, it tends to smudge. So, to avoid smudging, make sure you dry your nail art completely. Take some time before applying the top coat. And make sure your top coat is not clogged or dried. The brush should be soft as well. Then, apply the top coat to the brush a lot. This is the most important point. Having enough on the brush avoids scratching the nail art. How was it? Were you able to find the top coat up to your taste and style? First, you need to know your style and what type of finish/texture you want on your nails. Remember the tips we mentioned and check them online. Adding that last layer of a top coat does wonder. © Copyright 2019 mybest, Your Media Referral for Recommended Products. All rights reserved.